Candida is a normal resident of the digestive tract, as are many other species of bacteria that become overgrown in SIBO. The idea is not to completely wipe out these species, but to get things back into balance. “Test. Don’t guess.” One of the tenets of functional medicine is you have to address the underlying cause of a problem in order to get the best result long term. You can’t address the underlying cause if you don’t know what it is. If you just assume that it’s yeast overgrowth based on some symptoms, that’s not really adequate in terms of making a diagnosis because the symptoms of fungal overgrowth are extremely nonspecific. Find out what you’re dealing with because the treatments will differ. 5:20 Is it really yeast overgrowth? Steve Wright: Good morning, good afternoon, and good evening. 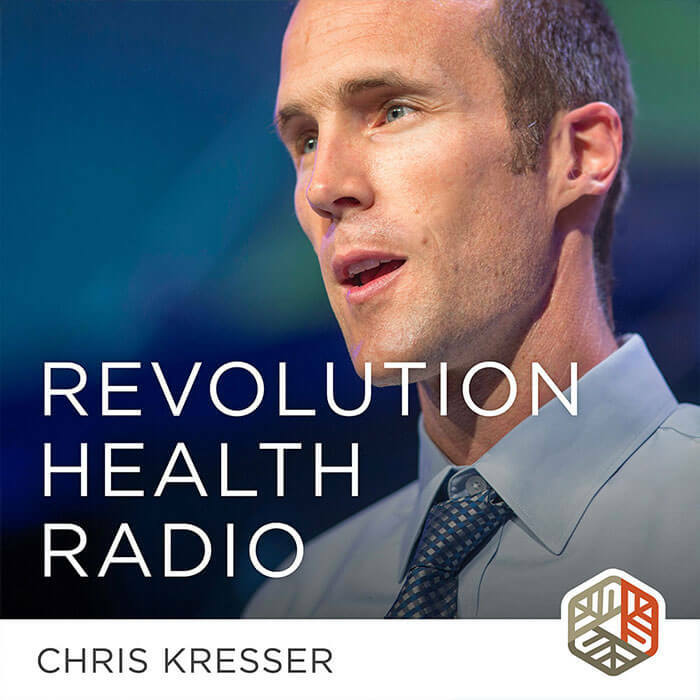 You are listening to the Revolution Health Radio show. I’m your host, Steve Wright, co-author at SCDlifestyle.com. Revolution Health Radio is created for you and by you. It’s also brought to you by 14Four.me. 14Four.me is a 14-day healthy lifestyle reset program Chris has put together. Based on just working with hundreds of people and interacting with thousands of people on his blog, he has really realized, much like I have, that it’s just really hard to implement things that we talk about when it comes to healthy habits. Sleep, diet, exercise, and stress are all major components that we talk about on the show all the time. But to do them all at one time is pretty much guaranteed in the research literature, unless you have someone holding your hand, you’re going to fail. So 14Four.me does that in 14 days, where step by step, day by day, Chris actually walks you through how to do all of these healthy habits at the same time, so that you can do 14 days of really resetting, getting back to zero, and hopefully starting your new year off or whatever month it is right. If you haven’t checked it out yet, go over to 14Four.me and do that now. As always, with me is integrative medical practitioner, healthy skeptic, and New York Times bestselling author, Chris Kresser. Chris, how are you doing today? Chris Kresser: Good, Steve. How are you? Steve Wright: I’m pretty pumped, man. Steve Wright: It’s a good day. Chris Kresser: Good day. Yeah, it’s a beautiful day here as well. We have a good question. It’s one we get a lot and one that I think a lot of people are going to be interested in, and one that there are quite a few amiss and maybe misconceptions about. Steve Wright: Before we get into that though, Chris, we can’t go too many episodes without finding out what you were eating before the episode started. Chris Kresser: Right. Not much to report today: coffee and cream (edit: usually I drink bone broth too). You know, we record the episodes a few weeks before they’re published, so this is actually right before Christmas. Lots going on. I’m getting on a plane soon to go visit family. There’s a lot happening. It’s a perfect opportunity to do some intermittent fasting. So that’s what I did today. Steve Wright: Awesome. Yes, and that’s why my background is slightly different than the white walls. I’m at my parents’ house here in Michigan. Chris Kresser: Nice. You don’t have the impressive phone cave that I have and that you normally have on. Steve Wright: No, no. The audio quality is not going to be quite as well, but the background is a little bit more interesting. Chris Kresser: Cool. Let’s give this question from Nada a listen. Nada: I have a question for you about yeast overgrowth. I’ve been on the GAPS diet for about six months now. I’ve gotten better, but still having some symptoms, so I went to a holistic practitioner. She did the Metametrix test, the TRIAD test. It confirmed I had a yeast overgrowth. She wants me to start adding potatoes and things like that back into my diet, but I’m really scared to because I know that disaccharides are hard to digest. So I wanted to know what your recommendations are about yeast overgrowth, treating Candida, and sealing the gut barrier. Chris Kresser: All right. Again, this is something that so many people are interested in. If you do some searching for Candida or yeast overgrowth on the Internet, you’re bound to just get bludgeoned with a crazy level of information. And a lot of it’s pretty kooky and quacky and unreliable. So I’m glad to have a chance to address this. I mean, we’ve talked about it here and there in the past, but it’s good to just do a really focused episode on it. Steve Wright: Before you dive in, Chris, I just want to let everybody listening know that if you’d like to have your question answered, go to ChrisKresser.com/podcastquestion. Go there. Chris Kresser: Hijack the show. Steve Wright: Yeah, hijack the show. You want to talk to us? You have to go there. Chris Kresser: Thanks for reminding me. It’s so great, as Steve said, to be able to make this show super relevant to you and your needs, and what you want to hear about. That’s really how it works. Definitely head over there and record a question. We want to hear your voice. Is it really yeast overgrowth? All right. I’m going to break this down into a few different categories. The first is not necessary based on what Nada said in her case. Or I’m assuming it’s a her. Sorry if it’s a he. But I want to point this out because it is something that often gets overlooked. It’s important for the general population that’s thinking about this. That is the question—is it really yeast overgrowth? One of my pet peeves is when I hear people say, “Oh, I’ve got yeast overgrowth,” or, “I’ve got Candida,” or, “I’m on a Candida diet.” I ask them, “How do you know that you have Candida?” And they say, “Well, because my tongue is white and I spit into a glass of water, and the saliva…” You know, all of these sorts of tests or even just symptoms that are not reliable as a means of diagnosing yeast overgrowth. There’s always an assumption made that it’s Candida, which may be, but it could be any number of other fungal species. It’s really important to test. I’ve always said on this show that we’re a big believer in the saying, “Test. Don’t guess.” Because one of the tenets of functional medicine is you have to address the underlying cause of a problem in order to get the best result long term. And you can’t address the underlying cause if you don’t know what it is. If you just assume that it’s yeast overgrowth based on some symptoms, that’s not really adequate in terms of making a diagnosis. That’s because the symptoms of fungal overgrowth are extremely nonspecific. What that means is there are things that could be caused by any number of other conditions that aren’t yeast overgrowth: fatigue, digestive discomfort, muscle aches, brain fog, low libido, hormone imbalance, skin rashes. These are all symptoms that could be attributed to Candida or fungal overgrowth, but they could also be caused by a parasite, SIBO, general dysbiosis. Or it could be something entirely different, like chronic infections such as Lyme disease, coinfection or a biotoxin-related illness, like a mold problem, exposure to a water-damaged building, or even potentially an autoimmune condition or a thyroid condition. And those are not all mutually exclusive. You can have fungal overgrowth and those conditions, and they often do go together. But the point is, you need to find out what you’re dealing with because the treatments will differ. I treat fungal overgrowth slightly differently than I treat SIBO, for example, or general dysbiosis or a parasite. Certainly, I would approach autoimmune disease differently than I would approach fungal overgrowth. There are pretty good tests for fungal overgrowth at this point. The best ones are stool tests through Genova (formerly Metametrix) or Doctor’s Data that can detect fungal overgrowth in the stool. You can get a urine organic acids test from Great Plains Laboratory. It’s a good one. Then the Genova Organix Profile is also a good one. They will detect organic acids, which are by-products of fungal metabolism in the urine. If they’re elevated, it’s a sign that there may be a fungal overgrowth. You can also test antibodies to Candida in the blood. So there’s a range of ways that you can get some objective data on whether you have Candida. In this case, as I mentioned, Nada already had the Metametrix test. I’m assuming she means stool, but she could mean the organic acids test as well, I’m not sure, and confirmed that there was a fungal overgrowth. It seems like she’s covered that base. Steve Wright: Yeah. I think it’s really important, just to kind of reiterate what you were saying there, that a lot of the general symptoms or things that we notice in our lives when we’re sick could be attributed to yeast overgrowth, but they could be attributed to lots of other things. I don’t know what your experience has been, but my personal health history, as well as the people that I’ve worked with and the thousands I’ve talked to, typically, it’s not just yeast. Steve Wright: So this idea of not testing and sort of just—or going off just one test and assuming, “Hey, I found something. That’s it. That’s the one singular root cause.” I think it’s really important to make sure people understand that that could set you back. That sort of belief could set you back quite a bit and have you wasting a lot of time and money. Chris Kresser: Great point. I agree. I would say maybe 15% of the time or 20% max, it’s just fungal overgrowth without SIBO, parasites or some other issue. 80% or 85% of the time, it’s something else in addition to fungal overgrowth. Great point, Steve. Moving on to the second point, which is the appropriate diet for treating yeast overgrowth. Nada mentioned she’s been on GAPS for six months. This is certainly a good choice, with some caveats, for yeast overgrowth. Now, if you’re not familiar with GAPS, it’s based on a specific carbohydrate diet. Both of those approaches remove complex carbohydrates—polysaccharides and disaccharides—from the diet. So when we talk about carbohydrates, we’re talking about different arrangements of glucose molecules. We have monosaccharides, which are single sugars like glucose, which are very rapidly absorbed in the upper part of the small intestine. They just don’t require a lot of absorption, because single molecules can pass directly across the lumen of the gut into the bloodstream. Then you have things like disaccharides, which would be lactose, as an example, which have to be split. They’re double sugar molecules. They have to be split into single sugar molecules before they can be absorbed. In people with poor digestion and absorption, fungal overgrowth, SIBO, and these conditions, those disaccharides don’t get properly broken down. They linger around in the gut, and they can become food for pathogenic yeast, bacteria, and other critters in the gut that we don’t necessarily want to be feeding. Then polysaccharides would be starches or any carbohydrates that have longer chains of glucose molecules linked together. They’re even more difficult to break down. That’s the theory with Gut and Psychology Syndrome (GAPS) and Specific Carbohydrate Diet (SCD). So the idea is if you have a fungal overgrowth, you should avoid disaccharides and polysaccharides, because they’re difficult to break down and they may potentially feed these overgrowths or infections. Now I want to point out that overgrowth is probably the best term, because Candida is a normal resident of the digestive tract, as are many other species of bacteria that become overgrown in SIBO. It’s not like you have an infection with a parasite or something that shouldn’t be in the gut but is there. What’s generally happening in these situations is if something that is normally in the gut has become overgrown and overrepresented in relation to some of the other beneficial species of gut bacteria. So the reason I mention that is because it hints at a different approach. The idea is not to just completely wipe out these species, because that’s not even necessarily desirable. The idea is to get things back into balance. That’s really the focus of any kind of treatment for fungal overgrowth. Steve Wright: That’s such a great point, Chris, that I think has taken a long time to sort of begin to get out in the world. So a lot of the articles people are going to be reading when they have yeast overgrowth are not pointing that out. I think that’s one of those other fundamental beliefs, that if you have the belief that all yeast is bad or something like that, then you’re probably going to adopt a different treatment strategy that I think you and I have both seen to be very ineffective. Chris Kresser: Yeah. Well, the systemic antifungal drugs are a good example of that. They can just really wipe out fungal species in the body. That can have a pretty dramatic effect. When you move from yeast overgrowth and you start using those drugs, you can have a big improvement in symptoms. But if you take them for too long, you start wiping out the beneficial yeast in the body. Beneficial yeast actually protect against bacterial overgrowth. So ironically, what happens with long-term use of those systemic antifungals is you can have a higher risk of SIBO, bacterial overgrowth, and dysbiosis that’s caused by a lack of beneficial yeast. You know, we need to get away from this warlike mentality that we have with—I mean, I think this came out of the whole age of antibiotics and the discovery that pathogens cause disease. That was an important discovery. But it led to this sort of warlike mentality where we’re going to use these powerful drugs to absolutely obliterate and destroy bacteria and other pathogens. But of course, now we have a much different understanding, where we know that these bacteria are—we live in symbiosis with them. We absolutely depend on them for not only our survival, but for several different aspects of health. So we’ve gotten a little bit overzealous in our killing mentality. I think in the next—it’s already shifting, as you said, Steve. Within the next 10 to 20 years, there’s going to be much more of an appreciation of balance and regulation of the ecosystem, rather than the carpet bombing type of approach we’ve been doing so far. Back to the diet. The trouble with GAPS and SCD, depending on how they’re done, is that they can be extremely low-carb diets. If they’re extremely low-carb, they can become ketogenic, which means you start producing ketones. Paul Jaminet was one of the first people to start talking about this a few years ago. But there are several studies that suggest that Candida and other yeast can actually thrive on ketones. So this is one of my biggest problems with a very low-carbohydrate diet—GAPS, SCD or even sort of typical Candida diet—that removes every possible source of glucose or sugar in the diet. That can lead to ketone production. Then there are studies, for example, that show that neutrophils, which are white blood cells, are less able to kill Candida when ketones are present. There are studies of diabetic patients with ketoacidosis—you know, a lot of ketone production—developing Candida overgrowth. There are studies of obese people developing Candida infections when fasting causes ketosis. There are studies showing that serum drawn from fasting patients is less protected against Candida than serum drawn after meals, and that antifungal drugs, and I would assume botanicals, tend to work better in a fed state than a fasted state, where ketone production would be occurring. So there’s this whole kind of constellation of evidence that’s pointing to the idea that ketone production is not a good idea. I guess what I would say is if you do do a GAPS or especially like a GAPS intro or an SCD intro, that should probably be temporary. Even then, you might not want to do it so that it’s so low carb. You can test your urine with Ketostix to make sure that you’re not in ketosis and you can eat more of the non-disaccharides—you know, the safe fruits, for example, that are permitted on the GAPS or the SCD diet, if you’re continuing to avoid the disaccharides and polysaccharides, like the starches and the more complex sugar molecules. Steve Wright: I think it’s important to sort of point out what I think you’re hinting at, which is that these diets—GAPS and SCD, which I’m a big fan of and have done a lot of work around—are not the solution. Steve Wright: It’s another form of sort of starving and destroying. A lot of people, including myself, have gotten a lot of benefit from being on a diet like this. But the idea that any one of these diets is going to starve or kill yeast infection or a SIBO infection is, in my opinion, thoroughly false now. Chris Kresser: You’re a step ahead of me. That’s point number three that we’re about to make. Chris Kresser: Awesome. We’re on the same page. Before I go on, I do want to say that generally, in my practice, I don’t start people with GAPS or SCD for fungal overgrowth or SIBO. We use a low-FODMAP diet for those conditions. I find that that typically works very well. FODMAPs are a slightly different take. It’s a similar theory. The idea is FODMAPs are fermentable oligosaccharides, disaccharides, monosaccharides, and polyols. So there are certain types of carbohydrates that are poorly broken down. They become food for the fungal overgrowth or bacterial overgrowth. However, with a low-FODMAP diet, I think it’s easier. There are more carbohydrates that are permitted, including some starches, which might seem contradictory to the GAPS approach. And it is. It’s a different approach. But I found that many people can tolerate some starches on the FODMAP diet if they have fungal overgrowth and bacterial overgrowth. They do well and we see success. You know, we test people and then we retest people after they’re treated. We see the fungal markers and the bacterial markers changing and going away. If they don’t, we might then switch to like a GAPS or SCD intro, as long as there are enough carbohydrates so that it’s not ketogenic. I think either of those will work. Low-FODMAP diet is a starting place. GAPS or SCD, as long as you’re eating enough fruit and carbohydrates, so that you’re not going into ketosis. And again, you can test that with the Ketostix, which are these urine strips. Those are both good choices. Steve Wright: One thing that neither one of us have mentioned—probably because we don’t like it or don’t like to mention it—is the anti-Candida diet, which anybody who’s Googling this issue is going to run into a thousand websites that talk about this. Chris Kresser: Yeah. I’m right there with you. I was just about to mention that I’m not a big fan of the anti-Candida diet. I think it’s both unnecessarily restrictive and not restrictive enough. In the unnecessarily restrictive category, it removes literally every source of glucose. I mean, on the extreme versions, you see even carrots and things like that prohibited because they have too much sugar. However, as I mentioned, if you do that, you’re going to probably end up in ketosis, which can actually make things worse. And I’ve just never seen any peer-reviewed evidence that suggests that that’s necessary. In terms of the not restrictive enough, many Candida diets actually permit grains, which is strange when they’re trying to get rid of every source of sugar. Grains are ultimately carbohydrate, for the most part. They’re also poorly broken down for many people because they’re complex carbohydrates. So you’ll see the anti-Candida diet permitting grains, particularly the alternative grains like quinoa, millet, and things like that. I just don’t see those things working well for most people who have gut issues. That’s something to keep in mind. I don’t think the anti-Candida diet is very effective. If it was, you wouldn’t see people on it for years and years having the experience that they have. So that’s something to be avoided. Point number three is what you just mentioned a little while back, Steve. That’s this—diet is not typically enough to treat fungal overgrowth and SIBO, in my opinion. It’s definitely a big part of strategy and it’s important. But when we have a patient that has fungal overgrowth or SIBO, we absolutely, without exception, will use antimicrobials. We start with botanicals. 90% of the time, that’s what we use. In some cases where the patient has just recurring, recalcitrant infections, we might start to use some prokinetics like low-dose naltrexone and possibly rifaximin and neomycin, if they have a methane overgrowth, which are medications. But almost exclusively, we’re using botanical, nutrient-based protocols. Some of the ones that we use, that have research behind them, and tend to work well would be undecylenic acid; uva ursi; cat’s claw; pau d’arco; lauric acid, which is monolaurin (Lauricidin); high-dose biotin actually is antifungal, like 5 mg per day; Gymnema sylvestre, which is an herb that has been used historically in India for blood sugar issues because it reduces sugar cravings and helps balance blood sugar, has recently been shown to be very effective in terms of inhibiting Candida growth; Saccharomyces boulardii, which is a beneficial strain of yeast, has been shown to inhibit the growth of Candida and also reduce inflammatory cytokine production that is associated with cells that are infected with Candida; soil-based probiotics like Prescript-Assist are I think effective in terms of outcompeting Candida for adhesion sites in the gut. So all of these things, many of which we’ve talked about before, can be really effective in an overall antifungal strategy. I think they’re very important. And if you’ve been doing a GAPS approach, for example, for six months, and you still have symptoms and you’re not doing these other things, then that’s absolutely something to look into. The last point would be—remember the kind of two-phase approach, which is when there’s any kind of infection, the first phase is clearing out the infection and the pathogens or the overgrowth, if it’s not an infection but it’s an overgrowth. But the second phase is really important as well. That’s restoring and rebuilding. The reason you can’t necessarily do both at the same time is some of the things that you use to restore and rebuild, like prebiotics, for example, can actually make the overgrowth worse. So resistant starch and non-starch polysaccharides, which are FODMAPs, of course, and also prohibited on a GAPS type of approach, they’re really helpful over the long term for restoring, growing beneficial bacteria in the colon. The reason you want to do that is because that’s what’s going to prevent a recurrence of fungal overgrowth in the future. What I often see happening is patients will focus too much on the killing part and the eradication. They’ll stay on that diet or that approach kind of perpetually. They’re essentially continuing to starve their good gut bacteria. It’s interesting to see that there have even been studies about this now. I recently saw a paper that essentially was saying, something that we could have talked about, Steve, on the show. But the paper was saying, “Yeah, the low-FODMAP diet is undoubtedly effective for IBS, but maybe we don’t want to be prescribing this to patients long term because it’s really low on microbiota-accessible carbohydrates, which are the types of carbohydrates that feed the beneficial gut bacteria.” Now, of course, we know how important that is over the long term. I thought it was a great paper, because the researchers were basically backing up what we’ve said numerous times on this program, which is you have to distinguish between a therapy, something that has a therapeutic effect and that you use for a short period of time until you don’t need it anymore, with something that you might do over the long term. To use an analogy, if you need a raft to cross the river, when you get to the other side of the river, you just leave the raft behind. You don’t carry it on your head—well, unless you’re doing some portage and you’re expecting another river pretty soon. But the basic idea is you use it when you need it, and then you leave it behind. For whatever reason, people have a really hard time grasping that. You see that in the low-carb world I think, where I think it can be a super effective therapy and a shorter-term approach for a lot of conditions and people, but doesn’t necessarily need to be the lifetime approach. Or the fact that it tends to work really well as a therapeutic intervention, that doesn’t necessarily translate into meaning that eating carbohydrates led to the condition in the first place. It all tends to get kind of convoluted. The point here that I really want to stress is that once you get the Candida or fungal overgrowth back into balance, that’s not the stopping place. The next step from there is to rebuild then your beneficial gut bacteria, which is what will prevent the Candida from getting overgrown again. I can tell you, and I’m sure you’ve had this experience, Steve, that people who get Candida, they don’t often just deal with it once; it tends to recur and be an issue. I think one of the reasons for that is they don’t stress the rebuilding part as much as they should. Steve Wright: All right. So I’m just going to recap this. Correct me if I’m missing any here, Chris. But working backwards, one that you just mentioned was people tend to stay in the killing phase too long and don’t think about actually rebalancing the microflora and actually feeding it. Some people assume that diet is the solution to yeast and fungal overgrowth, when many times, it’s not; there needs to be other interventions. When people do do diets to try to help with yeast overgrowth and Candida, they typically will end up on a ketogenic diet, which can actually inhibit sort of the short-term treatments that will actually get rid of the Candida. Then I think another big one that we mentioned was the idea that—I think you put around 80% to 85% of the time, it’s not just a yeast overgrowth issue. I think this is one of the reasons why people keep getting yeast overgrowth as well. It’s because they don’t ever get off the killing protocol. They don’t realize that there’s an 80% chance or more that they have maybe another infection, they have a hormone issue or they have an autoimmune issue that they’re not looking at. Chris Kresser: I like it. All right, everybody. Thanks for listening again. Remember to submit your questions so your voice can be heard. Thanks, as always, for listening. Steve Wright: In-between episodes, if you want to get Chris’s latest studies or the latest recipes he’s posting, things like that, make sure you’re following him on social media. If you’re a Facebook user, go to Facebook.com/ChrisKresserLAc. If you’re a Twitter user, go to Twitter.com/ChrisKresser. Thank you for listening. We’ll talk to you on the next show. What are your thoughts on eating red meat while trying to starve off candida? I recently bought a grass fed cow from an organic farm. I planned on eating that a lot but the anti-candida diets you both were referring to said it’s only okay about 3x/week. Hi Chris, I really like what you had to say regarding candidiasis. It rings very true. I am an Australian mother of two boys who has been battling health issues for years, and I am about to embark on the GAPS protocol with my two year old, as he has several confirmed food intolerances. The trouble I’m having is that I don’t know who to turn to here in Adelaide, South Australia for testing! I know something is going on, and I think its some kind of fungal overgrowth, but possibly a parasite or something else. How can I test this if no Doctors I’m aware of believe this type of issue exists? Help me, please. I sure wish you did phone consultations! “high-dose biotin actually is antifungal”. I have just read that “Many practitioners claim that you should take biotin because it will prevent Candida from changing from its yeast form into the mycelial fungal form. However, biotin is one of the primary nutrients that Candida needs to survive. So taking biotin actually makes yeast proliferate. Ask most anyone who has severe Candida and they will tell you that biotin brings on severe brain fog and other symptoms”. The biotin studies were done outside the human body, and in a protein-free culture, completely different from what the environment would be inside the body. If biotin truly stimulated candida overgrowth, everyone who takes high doses of it for dandruff or other skin conditions would develop raging candida infections. They don’t. The problem with a low-fodmap diet is that it eliminates garlic and onions. That is one restriction I simply don’t have the mental discipline for. Take away my wine, my grains, even my dairy… anything but onions and garlic! Would you clarify what you said? Most of the low-FODMAP diets I see, with the exception of the paleo ones, allow oats, quinoa, rice and corn flour. You stated that some with candida and SIBO can’t tolerate grains, however. Which starches would your form of the low-FODMAP diet allow? Any grains? Thank you! Also, I would love to see all your candida info, including diet, in an article we can download. It would be a great addition to your collection! 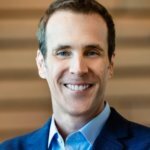 I’m a little confused, because in a later podcast, Chris says we should eat plenty of FODMAPs and carbohydrates when we are treating SIBO (https://chriskresser.com/why-diet-alone-is-not-enough-to-treat-sibo/). Should bacterial overgrowth be treated so differently than yeast overgrowth? Many people have issues with both. Or maybe Chris just changed his approach over the 9 months between these two podcasts? I would love if someone had the answer to this. Robin, eat what you feel like eating. These ‘fodmap’ and other trendy restrictions are just FADS. Onions and garlic are excellent sources of inulin, which is beneficial for gut health. In fact, the more restrictive one’s diet is, the worse one’s health becomes. Your saying to get tested and then if you have an over growth of Candida to have a doctor that has experience in treating it and I totally agree. Especially now, that I read that you have to remember that you need some Candida. That makes sense, because the way I came on strong with combating it in the three days that I started. I could if I keep going this way. I don’t want to Waite a month or longer to get this balanced and the state of mind I was in,I went full force with no sympathy for any Candida. As well as I think going to fast and causing to much fatigue, so I drank more water and didn’t take the second dose of the third day dose of Camdex. It Was yesterday very intolable and discusting to know that I might have these things continuously eating my intestines and every where else they go along in my blood stream and have to Waite so long to get them balanced. And Its stressing me out not knowing how to do to treat myself and not having a doctor that can help me. No doctor I had have gotten to the root of all my systems. I am not able to treat them appropriately without a doctor. My problems are that I am on social security income and state medicare and Medicare insurance and I haven’t been able to find time and strength to fit in time to get another doctor, and the only office said to connect with my insurance, doesn’t know what functional medicine is. Also the other problem is that I’m thinking with my experience in the medical field and with being a patient or parent of a patient or a friend of a patient ans so on, that traditional medicine doctors are not experienced in treating Candida and also by what you said. If there are any traditional medicine doctors that have experience in treating Candida. Can you tell me of any that take connect with my insurance in MA? I don’t trust the traditional medicine primary care physicians judgement that I have and just haven’t officially left the practice. He is not trained in functional medicine and not balanced enough to even be functioning effectively in traditional medicine abd I don’t think he could handle functional medicine in the near future. Giving him the benefit of the doubt by saying not the near future. I had a doctor trained in functional medicine, but left the country in Aug of 2015. It doesn’t seem to be easy as a lot of people know to find a traditional medicine doctor with experience in functuonal medicine that is connected with Medicare and Medicaid insurance. I am getting so stressed at times and loosing hope in recovery at times from what ever I have that causes me to have 65 out of I think 70 symptoms listed of having it on the website that would like people to donate to saving lives that suffer with Candida over growth. After reading that site and seeing all the symptoms and reading other sites from homeopathic doctors, I really think I have had it since, I was 5. Or even younger than 5 years old and I will be 43 in April, 2017,so that is a long time to have fight this. I am thankful I finally know what it is, but not what strain. Also please tell me if traditional medicine doctors that aren’t trained in treating it,do they know how to read the tests and know which ones to use that are most beneficial for the patient s needs and just which ones are the best one’s to use? For the time I am trying to find a experienced doctor that my insurance co. Will work with,til Maybe you can suggest my options or I can find options. I hope you can suggest a way for me to get a functional medicine doctor to treat me as a patient. Can you please try to suggest away for me to get a functional medicine doctor that my insurance will connect with or if you know a traditional medicine doctor with experience in functional medicine that my insurance will connect with? The only office I my insurance said they had experience in functional Medicine in MA turned out to not even know what functioning medicine is. That was in November of 2016 when I called. I appreciate your time and efforts in this matter. And thank you for the opportunity to try to get help. If you don’t have any suggestions I was planning on asking that agency I was referring to earlier that helps people suffering with an overgrowth of Candida if they could help me and my family. People with an over growth get sick, stay sick and get sicker because of the lack of knowledge we get from the traditional medicine doctors. I know I didn’t add the entire picture and didn’t say all the angles to look at it. I m sure I don’t realize all the angles to look at the entire picture either. please understand that while commenting. Its seeming like the poor people don’t get healed. They get brain washed into being unbalanced and not knowing it or not knowing how to get balanced,along with the middle class and I’m sure some higher class. I do like that you are trying to get doctors to learn functioning medicine. Which I really do agree that it natural medicine shouldn’t be called alternative it was the first medicine;natural medicine;functional medicine. The only reasons I think traditional is taken over for population control, to possibly make more money(most likely) I like to hear other people options on that,so we can know how to approach the problem. If we Truly know the why,then we can see how we can help compromise. To help defend that reason. To help balance people with the appropriate and truly affective healthcare;functioning medicine, easily available,easily addressable and affordable for everyone. I can’t actively help to fix this problem at this point in my life,but I wanted add my perspective and see what you all think,so we can work together to helping each other get more balanced. I’m get to,g really tired so I am not summarizing correctly, excuse me please. Good night and wish you all a restful night sleep. If you’ve had a serious, real candida over-infestation since you were five, you shouldn’t expect to get rid of it in a month or less. Any recommendations on a good practitioner to see in New York City? I have been attempting to cure my (self-diagnosed) candida for the last 12 months unsuccessfully. What should I get tested for and who should I see? Chris, you are wise and so thorough! I beg you from the bottom of my heart to answer my question- systemic candida (etc.) has robbed me of my life. I’m young and an elementary school teacher but I’ve had to take a year off to sit at home and be sick and depressed. Money/time/sanity at all time low- I need this kicked. Can you please advise- is monolaurin an effective biofilm disruptor as well?? Or should I add a biofilm disruptor? Wondering if something like Interfase plus would affect my own mineral levels, but obviously that can always be addressed after the yeast is gone. Thank you so much- you are doing a great, great thing! this info has turned my life around! you dont need some super range of antifungals and secret agent suplements to kill off the candida…. just bringing the body back into balance and it will take care of the rest. on the site he talks about a ‘short home cleanse’ that goes for 4-7 days and it has made all the difference, im continuing with a lot fat clean diet and after years of problems im looking at being symptom free in a couple weeks. Also try involve yourself in something thats mentally and physically stimulating, dont just stay at home, join a yoga class, read books , be creative …. positive mind and body helps tremendously! My understanding is that monolaurin is more of the antimicrobial … an herbal remedy that helps “kill” unwanted pathogens. If you want a biofilm disruptor you need something with enzymes to break down the cell wall of the biofilm …. like Interfase by Klaire Labs. Take a biofilm disruptor like Interfase. 30 minutes later take an antimicrobial like Monolaurin, Uva Urdu, caprylic acid, etc (if you do the Genova GI Effects test and test positive for candida, you actually get a list of herbs that are most beneficial for YOU…taking even more guess work out of it)! And then 30 minutes later, take activated coconut charcoal to help bind the toxins for safe removal … I have found this especially helpful for those with MTHFR issues and other detox / elimination challenges! Wow. I’m glad you’re not my doctor. You are correct … for sake of keeping things simple and delivering something useful to readers … I didn’t describe that monolaurin and caprylic Acid are essentially derivatives of things found in coconut oil and breastmilk. While coconuts are clearly not herbs … these substances are used as natural, food/herbal based sources for antifungals or antimicrobials. Thank you for pointing out this very important detail. Since Chris’s reader was looking for help on monolaurin and biofilms, I thought I would offer some guidance to help someone that is looking for something to benefit their life. Best of luck to you in your continued positive, useful comments. God thank you Lauren. She’s completely negative in all her responses. I found your information and timing on when to take those extremely useful and appreciated! I have read Dr. Jennifer Daniels “Candida Cleanse” e-book which is a radically different approach than any candida diet I have seen -OMG eat fruit!!! really! The reports are very good. I have a client with cancer who read that the ketogenic diet would be a “good thing” so he started doing this on his own. As an MSA practitioner – my scans continue to find candida growth as his root cause (and Lyme’s pathogens – candida being a waste product of Lyme’s). This article is helpful because I do not agree with his choice to do the candida diet. The Daniels protocol, is one I had heard of being quite effective because of her special ingredient. I am hoping this article will help my client realize ketogenics is not the answer he is looking for. after a ear of systemic candida i watched your video and tried 1/4 green apple, 1 blackberry in a smoothie with chia, coconut oil and flaxseed. 2-3 days later i have yeast discharge and itchy like mad in genital area esp. please help! i eat a sugar free, gluten free, egg free, yeast free diet. I went on the anti-candida diet because I’ve had a persistent (since childhood) bad yeast infection. I’ve been on the diet for a few days now and feel terrible. My chronic fatigue and brain fog has gotten so bad that I feel like a vegetable. Plus I’m losing tons of hair. Well then stop. Obviously the ‘anti-candida’ diet is not only robbing the candida of nutrients, but your body as well. Dr. Jeff McCoombs mentions that if one starves candida too much, that it will go elsewhere looking for food. In other words, it will leave the gut and become systemic. These anti-candida diets are just ridiculous. Hi, It make sense, I agree, but do you have any research about how the candida might become worst with this diets to much low carbs like cetogenic. You might be interested in this information. http://www.charcoalremedies.com/candida I believe you are having a Herxheimer reaction and need to add activated charcoal to your diet. When the candida begins dying off, they increase their production of toxins causing an increase in the symptoms of the person. Many people who start a regiment to kill candida end-up quiting because the herxheimer reaction is so unpleasant. Activated charcoal will absorb the toxins from your bloodstream, decreasing your symptoms. Hope this helps. The brain fog, etc., could be due to high ammonia levels caused by a higher protein diet. Charcoal can help, but anti-ammonia compounds like ornithine might be worth looking into. I haven’t been diagnosed with Candida, but I started a ketogenic diet 5 weeks ago and a few days ago noticed I have some large bumps on the back of my tongue. Could this have something to do with some sort of overgrowth? I’m going to a Functional Practitioner this weekend so I’m hoping to get some answers, but figured I’d check here as well. I think Precript-Assist has some prebiotic elements to it which would not be great for low FODMAPS as discussed earlier. So stay away from prebiotics on low FODMAPS? On the Genova ONE test I had tartaric acid that was five times the upper reference limit. Is that an indication that I might have candida? My question is that you endorse the low fodmap diet as it allows carbs so we don’t become ketogenic. You said you weren’t a fan of the candida diet because it allows grains and alternative grains such as quinoa, millet, rice etc. but the low fodmap diet does as well. Do you mean you would modify the fodmap diet so you get your carbs from low sugar things like raspberries and strawberries, but avoid the carbs in grain alternatives? Biotin isnt an antifungal.. it actually feeds candida!! My candida was completly under control and I decided to take 10mg of biotin… dude it came back full force and now more resistant to my anti-fungals, none is working! Biotin has been shown in studies back in 1974 to prevent the conversion of the yeast form of candida, to the hyphal or mycelial form. Wow! Sorry to hear that about the biotin! I was just going to start taking some today so now I will do some thorough research on it. I’ve read before that it is a potent antifungal. Yes i would like to know about the consumption of raw honey in small amounts and the benotite cleanse worth doing? Glenn Atkisskon – I wish I read your post months ago! I made the iodine/iodide – boron connection just this past week on my own through research and experimentation. I’ve been progressively getting worse from being exposed to a water damaged building three years ago, and I swear those nutrients have reversed many of my symptoms within 48 hours. I love how you posted the articles – people need to be educated about the suppression of these natural healers. They are cheap and effective! Also, shout out to Eric Bakker. I know you from Curezone. I think you might be talking about mold, referring to water logged building. I thought I had candida overgrowth but it might be fungal from living 6 months with Stachyburys mold. I’m so over bein sick. What has worked for you. Thank you very much. Ok- I’m new. I’m confused as all get out! My son is not ok. His behavior shows or matches characteristics of ADHD- big time, and Sensory Processing Didorder, perhaps Autism. I’ve been screaming fire to EVERYONE for the last five and a half years. He’s different. I’m sick as well. I have Interstitial Cystitis, Chronic Fatigue Syndrome and Fybromyalgia. My daughter is five and has had chronic constipation since birth. She also has some high strung outbursts and is overly sensitive to things. My seven year old son has become a mess despite my constant advocation to pediatric doctors, neurologists, occupation therapists. He’s being tested for autism. He won’t eat anymore either. When he was born I breast fed. Then went “organic” I made his food myself or bought organic baby food. He was and still isn’t a good sleeper. I need to know 1. What to test myself and my kids for in this realm of gluten free,candida free or limiting life. What deficiencies and excess minerals and fungi, wheats ect am I looking for? 2) who will do this testing that is AFFORDABLE, reliable and trustworthy? 3) how do I get a child who only wants to live off ensure, the proper nutrients if he won’t eat? SOMEONE PLEASE PLEASE HELP ME. I live in the Austin Tx area. I need any info that can help me, please. I’m a disabled, single mother with 2 children who are out of control. Research MSM (best brand Doctors best) My family was exposed to mold and this supplement along with many othet vitamins including selenium has helped us tremendously. We became Chemical Sensitive and had chronic fatigue, digestive issues, muscle paint, depression, candida overgrowth these are only some of our issues. MSM the miracle supplement to detoxify it saved my life and slowly getting my life back. I am wondering if others here with MTHFR/detox issues have a harder time with the killing protocol. My functional GI Dr put me on Rifaximin and then Nystatin and all it did was cause bloat, joint pain, weight gain and worsening of my food intolerances. I cannot handle eating even my normal AIP diet. It is very frustrating. I think sometimes it is not enough to diet and take antifungals. We have to be sure were are eliminating toxins along the way. HI i can help you with that as I specialize in mthfr, methylation, nutrigenomics, and digestive health issues. It’s so essential to work with a Dr who has the right combination of modalities to help you. I’m a Dr Chinese Medicine and Integrative Medicine with Nutrigenomics. No nasty Rifaximin and Nystatin!! I use botanicals and a protocol that will fix your methylation whether it’s up or down. If you don’t already have someone able to see all of you, let me know. TruBiotics that have lactobacillus animalis, Innovix labs 26 strain probiotic, 2 bodybio butyrate sodium potassium pills to FEED the probiotics as they go through the digestive tract AND to feed the good bacteria in the gut. I eat all organic only and nothing ready made. So far I’m feeling good. I’m not going to take anymore DIFLUCAN or Nyststin or prescription antifungals because they have killed to many of my good bacteria and just made things worse. Oh, and THE MOST IMPORTANT THING I CAN MENTION IS: DO NOT TAKE FLAGYL!!! a week after I stopped a 10 day course of this drug, I found out it kills The good bacteria called Oxylobactor Formigenes, which is responsible for eating the oxalates in our intestinal tract. Now I have interstitial systitis because the oxalates have gathered in my bladder and they are like tiny razor blades( go look them up). It’s so painfull and I am hoping that the probiotics I listed above will continue to help me with this problem. I hope all this helps some of you out there. It took me a year of researching to figure all this out and what worked best for me. So keep researching and don’t give up! Many different types of antibiotics — not just Flagyl — kill off oxalate-degrading bacteria. Also, antifungals don’t kill bacteria, they kill fungal pathogens. And lastly, biotin helps prevent candida from turning into it’s invasive form. Also — many with oxalate problems take high-dose biotin. I took Flagyl in June, 7 day course. And, I have been going through hell. I am a very healthy person, 31 and very active. Can you help me with more info, please? I think I have some issues from this still, and I get very depressed because I have no idea what kind of doctor can help me. I have no health insurance, so I cant bounce around doctors much. Please, more insight. Could we exchange emails? What are your views on the latest method of killing the the chitin layer of the yeast altogether and therefore not needing to go through such drastic changes in diet, as with the product, “Candida Cleanser”? Can you provide more info on the studies that show ketones feed candida? Also can you reccomend a specific protocol or cleanse that really works? I have recently been diagnosed with a candida overgrowth as well as dysbiosis and different bad pathogens. ive seen a nutrionist but the diet she has me on makes no sense. does anyone have a course of action or diet that will help me because im at a loss at the moment and no closer to combating it. Matt, hopefully you get notifications of replies to your post. Check out my post above yours.. Maybe this info will help. Research the undecylenic acid from Thorne research. It’s also referred to as : SF722. My wife seems to be having a recurrence of Valley Fever symptoms and I was wondering if these same diet based approaches could be applied to help her? She got it really bad about a year ago this time, started on anti-fungals for about a month or two and then stopped taking them because we couldn’t afford them but ended up making a full recovery with a pretty strict paleo diet that included FCLO/BO, lots of raw sauerkraut and raw dairy with exercise. I haven’t been able to find any sound dietary advice concerning Valley Fever because the majority of responses are based in standard Western Medicine thinking (no saturated fat, dairy, etc.) I wasn’t sure where to put my reply because there’s not really anything on the site that specifically talks about Valley Fever (Coccidioides immitis). Any advice would be greatly appreciated! Nice Chris, i suffered from this before and found a women in my country that cures from this which did not work. Something similar to your diet helped me a lot. Nice! My personal story with candida overgrowth is probably common, but you can learn a lot from it… over the years I tried the low carb diet with prescriptions for candida my doctor gave me – fluconazole, Diflucan, I tried Monistat and many supplements – always same story – was ok for awhile, then it came back and got worse . Last summer it was so bad I couldn’t function at work. This post from Alicia is just a commercial. Really great post, and I have read a lot of the other stuff you guys post and I am very impressed. I live in Norway (travel a lot to the UK). I suspect I may have a fungal overgrowth, but as you say its difficult to know without testing. I agree with the concept of test don’t guess. We have a totally different health care system over here in Europe. If I want to get tested for the types of things you are recommending over here in Europe do you guys have any suggestions about what tests I should ask for? Do you know if these types of tests are available over here? Chris (or anybody who might know), the product GI Synergy (http://www.apexenergetics.com/products/k64) which has been very helpful in my protocol of getting rid of SIBO and Candida overgrowth seems to be discontinued(?! )…is there another one similar to it on the market? I have just bought this from functional nutrition, they also have a website but you can contact them via phone. I got a stool test back, it said I have a high amount of S. Boulardii or S. cerevisiae in my system. Isn’t that a healthy yeast that doesn’t overgrow in your gut or is tho something to be concerned about? Dr. McCombs approach waits until Week 7 before introducing probiotics. He cites that fungal candida inhibits recolonization of Lactobacillus bacteria, and might even support the wrong immune response. Correcting fungal imbalances first helps to create a better environment for supporting growth of beneficial bacteria. The problem with candida testing is that they only test for the yeast form, not the fungal form. The yeast form should be there. It’s a normal inhabitant. You say if you kill fungal forms of candida, that creates further immunosuppression. But isn’t that what McCoombs (and most others) recommend — in his case, using Thorne’s SF722 to kill the fungal, systemic form of candida? How would you treat parasites? Would you go with a ketogenic diet or would you go with the SCD or just low FODMAP? Any specific herbs or anything? Etc, etc. I don’t think I’ve ever heard the full story of how you got your full health back. Even in your book I don’t think you go too in depth. Huma worm works. I raised some chickens and in the process contracted some. I tried many things and Humaworm was the only thing that got rid of them. I have no idea even where to start. I am very symptomatic. My endo Dr just found a small benign mass on my adrenal. My DHT levels are very high and testosterone very high. I never feel well and am losing my hair. I am completely broke from seeing all kinds of doctors and I don’t know if I can afford or even handle anymore tests and confusion. But I need help. thank you. You make it sound like it’s so easy to find out what’s wrong with your gut if you simply go to the right doctor. After searching for 11 years to find a doctor who actually knows more about the gut than I do, I have yet to find one in New Jersey. I had to ask my hormone doctor to order me a stool test from Doctors Data even though he doesn’t specialize in the gut. And I had to sit still without rolling my eyes in front of a “distinguished” gastro doctor, one of only 2 within a 2 hour drive who gives a SIBO test, when she didn’t even understand what the word “SIBO” was when I said it. ELEVEN FREAKING YEARS I’ve been waiting for LameStream Medicine to catch up to what other people have been talking about for a decade!!!!!!!!!!!!!!!! No one can tell me why I have constant body aches that get worse when I eat any type of sugar, yeast, vinegar, cheese or starch. No one can tell me why I get bad breath or a sore on my tongue when I eat almost any kind of fruit (except white grapefruit, Jicama, and very green Granny Smith apples), plus any type of bread, or cheese or lunchmeat or anything processed. Not one person in this drug company infested state can tell me what’s wrong with me. I have to do all the work myself, learn everything myself, treat myself with all the herbal remedies I can find online because everyone has a “this worked for me” opinion, eliminate all the foods for over a year that amplify the body aches, lose all my body fat, and STILL not have it completely resolved because the only 2 people who seem to know anything about the gut have too many patients to take on one more person!!! Can I just say Amen!!!!?? Have you done the organic acids test? I am thinking about it and curious if anyone has had significant findings with it. Cheryl I am right there with you. 12 years for me. Trying just about everything and nothing seems to help. I have every crazy symptom out there. I need help and no one seems to know how to help. Seven years and 12 docs for me. I finally came to the conclusion that unless the doc learned about this in med school.. He/she is unlikely to know about SIBO/FUNGUS OVERGROWTH etc..
they just dont come home after a long day at the office and read the latest clinical studies and data. They rely almost entirely on what they were taught in school. Like it is gospel. This allows me to set my expectations really low from the get go. and you don’t need a medical degree to learn this stuff. This made my day! I thought I was the only one. I’ve searched high and low for doctors that take me seriously and I have given up. I have noticed a lot of the foods you have described set you off contain sulfites or are foods that candida doesn’t like. Did you know bacteria in your gut actually train your immune system (found in Giulia Enders book Gut the inside story of our body’s most under-rated organ). I think that you have a candida overgrowth and it has trained your immune system to react to things it doesn’t like eg: sulfites, vinegar, naturally occuring sulfur foods (sulfur is converted into sulfites in your body). My son has the same issue. I am trying to repopulate his gut with healthy bacteria feed the good suppress candida. Hoping the healthy bacteria will retrain the immune system. Do you have a reference to back up your statement that “sulfur is converted into sulfites in your body”? These include the amino acids taurine, methionine, homocysteine and cysteine. They are among the most important of the amino acids, for which reason I include them here. Their main purpose is to help with the flexibility of connective tissue, and they are also absolutely essential for detoxification in the liver and elsewhere. Sources. They are found naturally in a wide range of foods, notably garlic, onions, scallions, green onions, meats, eggs, some well-cooked beans and some seeds such as sesame. I recently had been looking at articles on candida I won’t go into these because I have jumped to conclusions. I thought I had read about candida not liking some of these things. I’m sorry, I’m just a tired mum who has three boys under six, one of whom has aspergers and the other with eczema, hayfever and asthma symptoms who reacts to anything with sulfites and raw egg (hives). I’m sick of bouts of not being able to breath and enlarged adnoids, night wakings, runny nose and sneezing, itchy skin, red hands from cream of tartar in playdough and unanswered questions from doctors and specialists. I love my children so much and it’s heartbreaking to see them going through so much. Just remembered another website which stated Sulfur is converted to sulfites in the body. I haven’t quizzed the author on their sources. SPEAKING of sulfites, my pharmacist asked me before he filled a prescription for Celebrex, if I were allergic to the sulfa family of drugs. Well, I had a faint memory from decades ago that made me imprint on my brain to always say I am allergic to sulf- or sulph- drugs or medications. I don’t even remember what the reaction was but it might have been an ileum sensitivity. If you have Candida – does someone know if you should or should not use Celebrex for a separate pain causing condition (whiplash cervical radiculopathy) – ? Thanks. Sulfa is not a sulfur based medicine. If you have trace amounts of ketones while doing a SCD diet for candida, does that mean you are in ketosis? I had trace amounts in my urine and wondering if I am too low carb? Any advice anyone? Thank you! Don’t know if you ever got your answer but just wanted to say that I’ve heard that the urine test strips are not nearly as accurate as the blood test strips for ketones. Great podcast. Probably a stupid question, but should one wait until the overgrowth has cleared to start the Prescript Assist? How long is considered “long term” use of antifungals that would start to wipe out the beneficial yeast? Lots of good diet information here, but I’m surprised no one mentions the value of iodine and boron in bringing candida under control. Shortages of both these minerals contribute to many diseased conditions, candida overgrowth being only one. There’s a few ways to go regarding testing. If one isn’t suffering so much with a condition, why not have a hair analysis done, then supplement with minerals that are short? You may find that proper mineral intake will cure a lot of problems that plague modern man. Most people are going to find they are short on several minerals, and iodine and boron are probably going to be 2 of these. Don’t even hope to have a good balance and utilization in your body of calcium and magnesium if you don’t have enough boron! It’s all dependent on boron. I’m not saying that macro-nutrients like sugars and starches aren’t important in diet considerations. They are. But in some ways, you also aren’t going to fix a candida issue and avoid easy recurrence without having the proper minerals to restore your health. Both boron and iodine have had strong support of the medical profession in years past. Since the push for pharmacological solutions, both these marvelous minerals have been pushed right out of public consciousness by almost all practitioners because they are “bad for business”. Unfortunately, even alternative doctors are continuing to ignore the value of these and other minerals in sustaining vibrant human health. If you don’t grow your own food, and additionally take pains to amend your soil with all necessary minerals, including boron and iodine, as well as calcium, etc. you can assume that your foods are quite short on these also, even the foods with “organic” labels that are provided by huge organic farms that can comply with the organic standards without enriching the soil to provide truly nutrient dense foods. Both iodine and boron are hormone precursors, so can be very problematic if overdosed, as is commonly done in some alt med circles. Iodine at ~150 mcg per day is nutrition for the normal thyroid, but if a person has autoimmune thyroid disease such as the VERY common Hashimoto’s (cause of some 90% of hypothyroid in the developed world today), then higher iodine can aggravate their situation, sometime severely. The very high amounts of iodine such as 6-50 mg taken in some alt med circles can be overstimulating or suppressive to the thyroid, or may have symptoms of both, creating confusion and case aggravation. …….. So what we really want here is an optimized thyroid, however that may be best achieved in the individual, and not some unspecified amount of “iodine” as a thyroid precursor for normal persons without autoimmune thyroid problems. The critical distinctions here are: nutritional amounts of iodine vs. high iodine, and the truly normal-thyroid person vs. autoimmune thyroid person vs. undiagnosed autoimmune thyroid person. Boron is a testosterone and downstream estrogen precursor. A small amount of boron such as 1-3 mg goes a long way in this connection. Most men like anything that gives them a bit more testosterone and it doesn’t have to be precise. Some of that testosterone is going to be converted to estrogen, usually undesirable by most men. Most women won’t mind a bit more testosterone either, but any time you’re working with estrogen in women whether they are pre-menopausal, peri-menopausal, or post-menopausal, you need precision since the effects of estrogen short-term and/or long-term can be problematic, or paradoxical with some welcome effects with other unwelcome effects especially long-term. Estrogen needs to be balanced with progesterone, and they help each other’s receptors. Any time you’re working with thyroid or estrogen, you need extreme precision. There are a lot of substances where you don’t need this kind of precision and you can even be downright sloppy, but not with thyroid or estrogen. So if you actually need more thyroid or estrogen, it’s better to get the needed precision and desired results with meds backed up with appropriate hormone testing for reality checks. Optimizing your hormones does help immune balance. Carol, you are correct when you say that iodine supplementation may harm Hashimoto’s patients – in some cases. In my clinical experience, this is certainly not the case in all HT cases – only a select few. I’ve treated this most common form of hypothyroidism for many years and found out that when the HT patient is in the hyper phase (HT alternates between hyper and hypo as you would probably know) then they are much more likely to experience aggravations as you mentioned. By a careful assessment of both their auto antibodies as well as TSH and rT3, these needless aggravations can be almost totally avoided. Salivary and urinary iodine determination is clever, and you you will also find the around 300mcg of selnomethionine given daily can have a most positive effect on lowering anttibodies (as long as they go gluten free) and their diet has been positively attended to. The BIG one with HT is adrenal fatigue, which is a most common exciting and maintaining aetiology. (and entirely overlooked issue by 99% of physicians) Just my opinion, based on 27 years of clinical work with thyroid/adrenal patients. I think selenium (with selenomethionine being one form of that) is one of those substances where a small amount is stimulating and a high amount is suppressive. The point at which a stimulating amount flips into a suppressive amount to be very individual and dependent on various. I suspect that may be the mechanism behind giving selenium to lower [suppress] Hashi: antibodies. In my own case, I’m aggravated by selenium supps in just about any amount at any stage in my 25 yr Hashi experience. I speculate that some selenium aggravation can be the result of how dead the thyroid is before either meds or thyroid-related supplements are begun. If the thyroid is not too dead yet from Hashi antibodies attacking it over time, the thyroid does contribute a small but significant percentage of T3, stimulated by selenium as a precursor to T3, and so can foster a hyper state shown by testing even if the person was hypo before. And once a person has a sufficient level of Hashi antibodies, the antibody numbers may come down with meds or high selenium, but the antibodies are always there lurking in the woodwork ready to come out and go into action if the right conditions present, part of the body doing its job to defend you. Eric, I totally agree with you on thyroid and adrenals — I view these as nearly always intertwined in some way. NDs often address this area, part of why it’s called “complementary medicine”. But as in so many subject areas today, treatment approaches and background theory behind “adrenal fatigue” can differ widely. Patients need to realize that adrenal fatigue is a controversial subject even within complementary med (patients new to complementary med almost never have the perspective to make this critical distinction). I would also like to see more information on the gut restoration process. Specific steps to take after you have gone through the killing phase or the less aggressive route with antimicrobials. It is interesting to note that little to nothing was mentioned with regards to a person’s lifestyle – apart from what they eat. When it comes to candida overgrowth, parasites, SIBO and generally dysbiosis, it is most important to analyze a person’s mode of living, i.e; their use (or overuse/abuse) of technology, their emotional state, stress levels, their ability to really relax and balance their autonomic N/S function, etc. These core stresses have a most significant effect on their functional endocrinological state (particularly thyroid & adrenals) and consequently their ability to quickly counter any overgrowth, inflammation or infection. Typically I find these are the patiets with low cortisol levels (saliva testing). We all have an excellent immune function, and when this becomes compromised it can cause us so many problems that even he most “perfect of diets” may not even remedy. I’ve personally seen this in countless “incurable” health problems with my chronic patients over the years. These are typically the doctor-hopping patients who spend hours on CureZone or forums and who rarely get well. Point is this – diet is a small part of the candida equation, and certainly not the be-all-end-all, nor is “killing” the yeast as Chris points out. Check out Candida Crusher, a 712 page book I wrote that explains how to “cure the incurable” candida manifestations such as brain fog, CFS, and many other health complaints unresponsive to diet and supplements. I agree that lifestyle issues are a huge unrecognized factor, but can’t you also argue that a systemic fungal or candida infection can cause or contribute to mental symptoms that affect one’s choices in life? OMG! I CANT BELIEVE YOU ANSWERED MY QUESTION! THANK YOU SO MUCH!!! I just happened to click on this link in my email inbox and saw you did 🙂 I wish you notified me!!! Candida can hide. Comprehensive stool test was negative. But thank goodness the integrative Doc I saw new to check blood antibodies too! That turned out to be off the charts. Great article!!! Thank you Chris and Steve! I have been on GAPS/Paleo for 6 years and now autoimmune Paleo and have tried multiple antifungals (prescription and natural). My gut always seems better when I am zero sugar but then my energy plummets! Such a catch-22. I add carbs back in and then my gut feels awful and I gain weight. I am not sure if ferments are helpful or not for candida? I have read such conflicting advice on that. Most tests I have had point to candida. Not sure what to do at this point. I was wondering if you are any better now? I have the same issues as you..drop the carbs low I have no energy and a sour mood….but I feel better with just meat and fat… It is not an easy thing esp as I gain weight so very easily! I agree with the rebalancing approach to candida since about 20 years now, and agree that long-term anti-fungal use is not a good idea. One of the biggest setups for candida, in addition to antibiotic use without restoring friendly bacteria and too much sugar in the diet, is a non-optimized thyroid. Even minor thyroid imbalances (including having Hashi antibodies years before other thyroid numbers go “out”, TSH over 2.0, very low free T3) predispose to all manner of viral, bacterial, and fungal infections, and make recurrence and persistence more likely as well. So I’d be looking at thyroid using the tightest standards for interpretation. Thanxs for the heads-up about the Thyroid/TSH issue and its possible relationship to CandIda. I have finally started to explore this issue and cannot believe the ignorance amongst allopaths including my own PCP who I like a lot. For a year now my TSH has been slightly out of “standard reference” at 5.73. My PCP said it is of no concern. Now I am learning this is certainly untrue. Interesting podcast Chris. I’m wondering if maybe the organic acids test is not the gold standard for diagnosing candida infection when it is not severe, what would be the test to confirm that the candida overgrowth is under control? I understand that the antibodies may diagnose it, but the antibodies can persist after the infection clears. How you do you recommend to “restoring and rebuilding the gut” if not with SCD or GAPS? That confused me. What if you have been tested for sibo…it was negative..but positive for ileitis an gastritis. ….yet low fodmop, blending all clean cooked food, etc still causes severe bloat? Genova Stool testing did not show fungal infection or parasites???? Jen, have you looked into histamine intolerance? This can cause significant bloating, fatigue etc lowhistaminechef.com has info. Thank you kindly. I will look into it…I am thinking low oxalate as well….seriously there is nothing left to eat to balance my hormones adrenals and my gut. This is one of the best articles I have read on this subject. I have been dealing with candida overgrowth for the past few years. I thought I had it under control two years ago but last year I had a very bad year. My eczema has been out of control. I got test done and my gut is all messed up with yeast and gut dysbiosis. I am going to show this article to me doctor as she was going to put me on some fungal medications. I have been low – moderate carb too all of last year, so maybe this is why it came back so strong. Thanks again! Now i’m 172 cm x 66 kg. If i remove complex cho, probably i bacame skinny! How can i maintain my body weight? With an isochalorich diet based on Pro and Fat i had lost 4 kg in one month!! I’ve tested positive for a high car of candida overgrowth in my upper gut, having had an igg blood test for antibodies and a urine test. I also had a doctor’s data stool test which showed I have NO GROWTH of lactobacillus. How on earth to I actually go about getting a colony of these to reside in my gut again? No growth of lactobacillus on the stool test doesn’t mean you have none of that bacteria. Anyhow, lactobacilli are transient species so you can populate it in your gut but eating the bacteria and the foods on which it feeds. Gut bacteria can change overnight in response to change in diet. Do you have any experience in using bentonite clay in treating fungal infections? I’ve heard it literally strips of the yeast cells. Can you tell us more about which metabolites are raised in the Organic Acid tests? Mainly arabinose and other organic acids like citramalic, tartaric, other glycolytic metabolites. http://www.greatplainslaboratory.com/home/eng/microbial_oat.asp. The lab report often tells that this is a yeast marker, and potentially which species they are. For example http://www.healthlinkpartners.com/testkits/images/test-pdf/Microbial%20OAT%20Panel.pdf. What a vicious cycle. We are all infected! Normally your yeast would love to keep you free of pathogens and healthy, but when it thinks you are about to die, it will gladly help speed that process, too! I think the WORST thing anyone can do is the “anti-fungal” medicine route. All you do is make the yeast mad. It shape-shifts and hides. Unless you repair your immune system, you will never win against yeast. Here’s a scary paper: In vivo imaging of disseminated murine Candida albicans infection reveals unexpected host sites of fungal persistence during antifungal therapy. In this study, they created a bioluminescent Candida, and infected mice. Then they tried killing the Candida with antifungals. Chris, THANK YOU so much for addressing this topic. I was tested and confirmed with a yeast overgrowth (via stool test) last year and have been trying to “kill” it ever since. I’ve spent hours reading about it online and in books, and I just get more and more confused and overwhelmed by conflicting advice. Your approach just seems to make the most sense to me. Would you consider writing an e-book or doing a series of articles that would offer more detailed information in terms of dietary and supplement advice (timeline, dosage, etc.)? Excellent podcast. I enjoyed the reference to beneficial yeasts. These don’t get enough attention. For those looking to consume beneficial yeasts and beneficial spore-forming probiotics, raw honey can actually be a good source. Raw honey is also well known to have anti-candida properties. And that’s because very few vegetative microorganisms can live in honey as the raw honey itself does not allow much to survive. But the dormant spores of microorganisms such as bacteria, molds and yeasts from flowers, pollen, and their own guts, are found in the raw honey. Honey bees intentionally formulate honey with beneficial yeasts and antimicrobial spore-forming bacillus to help break down nutrients in the pollen grains and to keep the hive safe. Bees don’t want much Candida albicans in their hives any more than we want it in our guts, because their hive acts as an artificial stomach of sorts (breaking down pollen and nectar into their food). So a healthy hive tends to produce healthy honey that tends to promote beneficial flora—as has been shown in various studies. Once honey dilutes in the gastrointestinal tract, the spores repopulate the gut and may in fact be one of the many reasons why honey is so beneficial to us. Furthermore, our ancestors ate enormous quantities of honey. So much, in fact, that there are wild birds in Africa that evolved well before the Paleolithic to guide early humans to bee hives. Our ancestors consumed large quantities of bee-formulated spore-forming microorganisms this way. Doesn’t the sugar from the honey feed the candida? I’m not sure this is the kind of advice you should be giving to people. I have been utterly destroyed by Candida, it’s not a laughing matter and advice given should be solid correct advice. I took one tbs of apple cider vinegar mixed with a glass of boiling water and raw honey 3x a day on an empty stomach and it cleared a lot of my symptoms. Unfortunately, just drinking apple cider vinegar in a glass of water did not help me in the same way. Very important to be aware that we should never heat honey over 40 c. So mixing it with hot water would not be good, as it damages it and it’s not really raw anymore. According to Ayurveda it is in fact toxic to the body, once it has been heated more than 40 c.
most every doctor I’ve seen sys that raw honey is okay in small amounts, for the very reason listed above. Would you have any idea how long in terms of weeks or months a person you have treated usually stays on a diet/anti-microbial protocol before the rebuilding stage? this is a great question, i’d like to know this too. I would also like to know this!